Calxa allows you to create more than one version of a budget for a financial year. For example, you can have a working budget and a Board approved budget for the same year or a best case scenario budget and a worst case scenario budget for the same year. 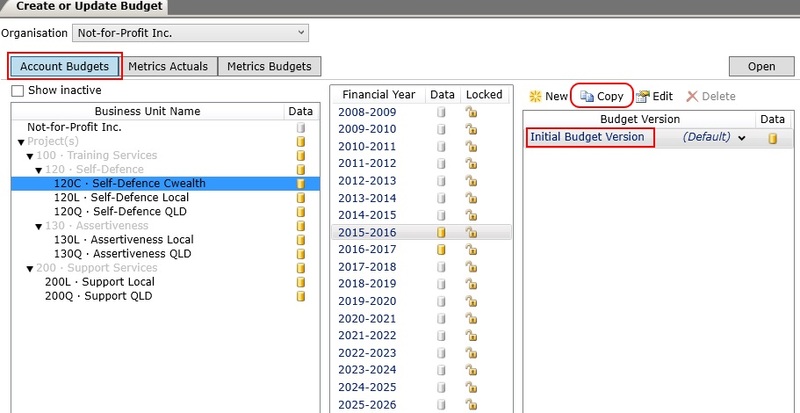 Select the budget version you want to copy by highlighting it, then click the Copy button. Type the name of your new budget version in the Budget version name field. Enter any notes regarding the budget version if desired. 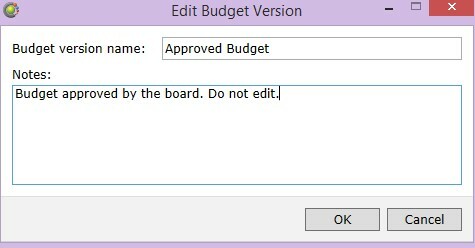 Click OK.
To edit a budget version please refer to the following help notes – Use the Budget Factory to Save Time and Create Multiple Budgets and Edit Budgets using Budget Shortcuts and the Budget Grid. You can “lock” a budget version once it has been created and edited to prevent it from being altered. 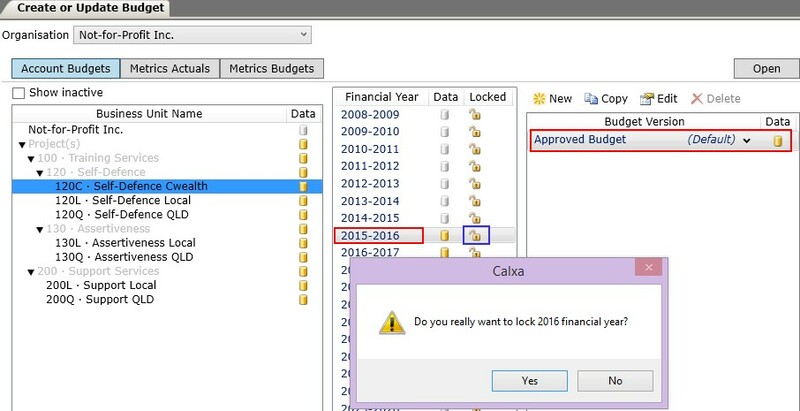 To do this select the budget version and the financial year you want to lock. Click on the lock icon next to the financial year and when the message below appears, click Yes. When generating reports in Calxa you can choose which budget version to use. For a detailed explanation on running reports please refer to the help notes – Running Reports, Using Report Bundles to Generate Batches of Reports and Create and Manage Bundles. 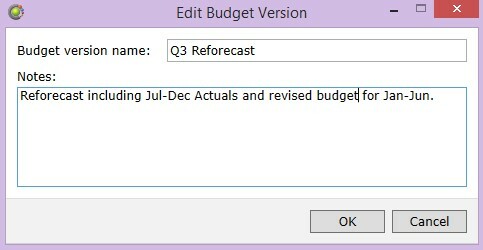 When running reports you may choose which budget version to use in the Report Criteria section. Select the budget version using the drop down menu. In some reports Calxa Premier can compare two budget versions. Check the check box if you would like to compare budget versions and click the drop down arrow to select the budget versions you would like to report on.